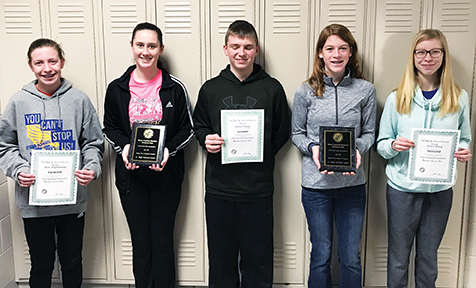 GLANDORF — Glandorf’s Eighth Grade Science team did very well at the District Science Fair held at Ohio Northern University. Students receiving a Superior rating and advancing to State Science Fair are: Alexa Fortman, Emmitt Maag, and Faith Kehres. Students receiving an excellent rating were: Bryn Tegenkamp and Grace Maag. Glandorf Elementary was also honored as the middle school with the most students receiving a superior rating, as well as the middle school with the highest percentage of superiors at District Science Fair.